With over 25 years of experience, our Executive Chef can accommodate any group’s requests with a vast selection of appetizing beverage and food options. From birthdays and anniversaries to charity fundraisers, the Emerald Event Center is the ideal venue to host your next special event. We offer over 11,000 square feet of flexible space, upscale dining options, elegant decorating schemes, state-of-the-art audiovisual technology, and support staff to accommodate your event. The Emerald Event Center is ideal for many corporate functions from small meetings to trade shows. Our professional staff and conference facility provide you with everything you need to have a successful event, including state-of-the-art audiovisual technology, a variety of business services, and premier on-site catering. We look forward to making your wedding dreams our priority. Because your big day is all about the small details, our staff of experts will ensure every detail exceeds your expectations. Allow us to bring your special day to life and we will make your vision come true with an unforgettable wedding experience for you and your guests. The Emerald Event Center is a state-of-the-art facility located in Avon, Ohio. Less than 20 minutes from downtown Cleveland, our convenient location makes it easy for your guests to get to and from your event without the heavy city traffic. We have the resources you need to make the planning process and execution a complete success. Our elegant space features numerous options to create the perfect setting for your next event. Book your next event at the Emerald Event Center! Our culinary staff can tempt all appetites with their plethora of marvelous dishes, from continental breakfasts to elegant reception entrées. Start your guests off with refreshing beverages and delectable hors d’oeuvres, then enjoy a customized sit-down meal. Our expert chefs, professional management team, and experienced waitstaff will ensure your guest’s meal experience is one they will not forget. Your big day is all about the small details and our staff of experts at the Emerald Event Center will make sure every detail exceeds your expectations. The Emerald Event Center is one of the premier wedding venues on the west-side of Cleveland, proven by being voted #1 on the Cleveland Hot List for 2017 and 2018! Emerald and their team was incredible. We spent a whole year planning our wedding with them, and the entire day went off perfectly. Everything was absolutely seamless. The Emerald Event Center was the perfect venue for our wedding! The staff went out of their way to make every bit of our day fantastic! Emerald Event Center made my daughter’s wedding a night to cherish! Everything was top notch… We were so pleased with the night and our guests keep raving about the venue!! 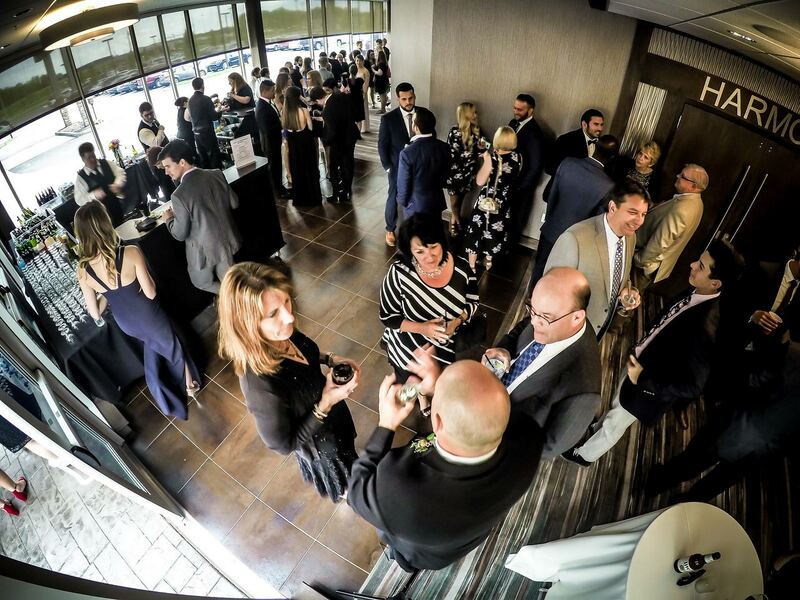 Interested in hosting your next event at the Emerald Event Center? Would you like to make an appointment to visit our ballroom or discuss options? Contact us today so we can get started planning your event!